Birchwood Casey Freedom Targets® 12x18 Coyote Silhouette Targets are easy to setup and have a highly portable design. Use with any caliber firearm. Included are (24) 3" Shoot-N-C Bull's-Eye Target packs. Freedom Targets® eliminate stands, staples and tape at the range. 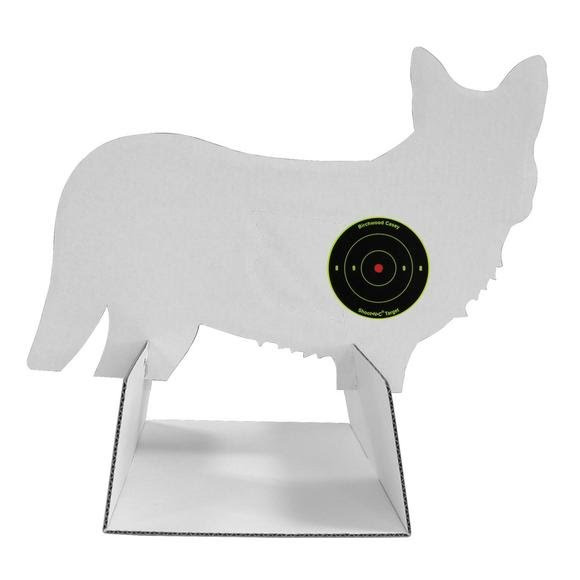 Birchwood Casey Freedom Targets® 12x18 Coyote Silhouette Targets are easy to setup and have a highly portable design. Use with any caliber firearm. Included are (24) 3" Shoot-N-C Bull&apos;s-Eye Target packs. Freedom Targets® eliminate stands, staples and tape at the range.